2010 Smart Fortwo 1.0 DOHC 12V L3 Cylinder head Repairs. 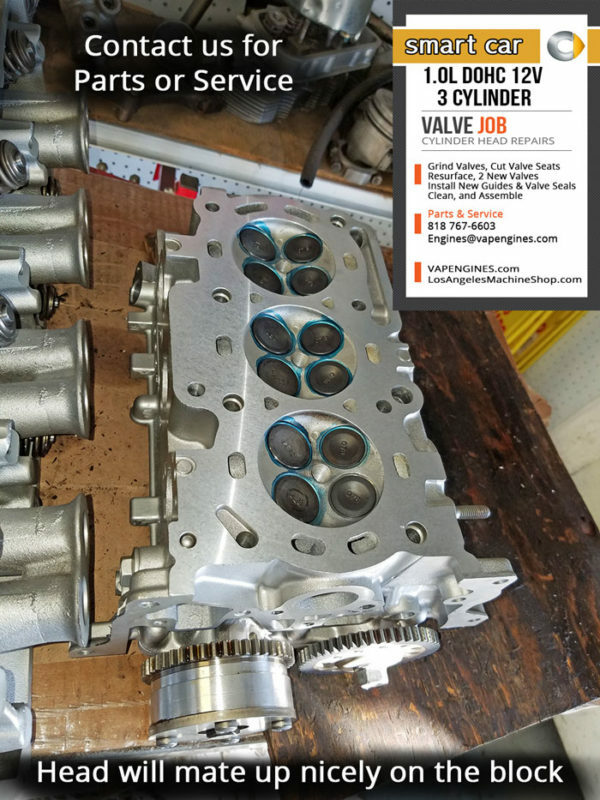 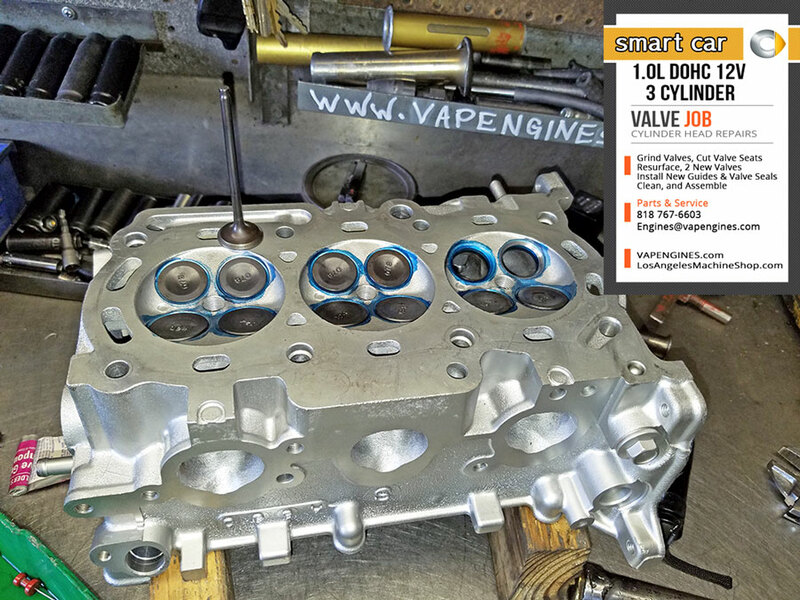 On the agenda for this Smart Car cylinder head, a Basic Valve Job: Grind valves, Cut valve seats, Resurface, Paint and Assemble. 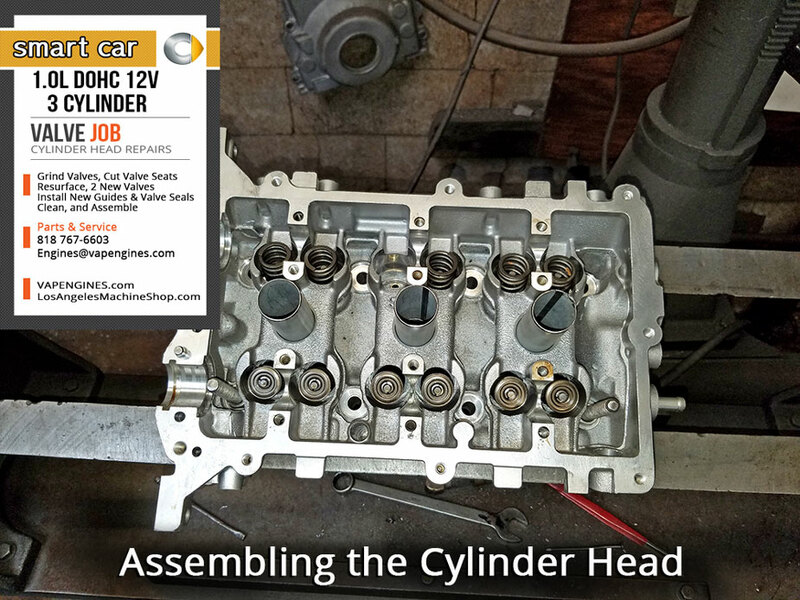 Like the car, this cylinder head is the mini version of heads. 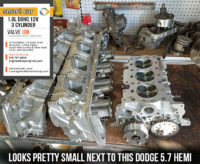 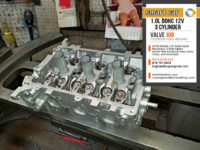 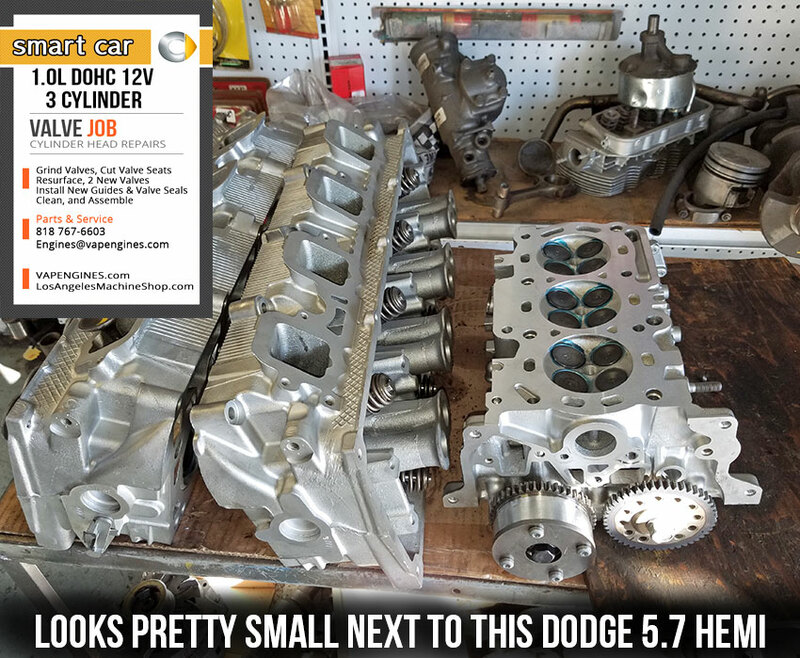 Check out the picture below of it sitting next to a Dodge 5.7 Hemi cylinder head.A few photos before we start. 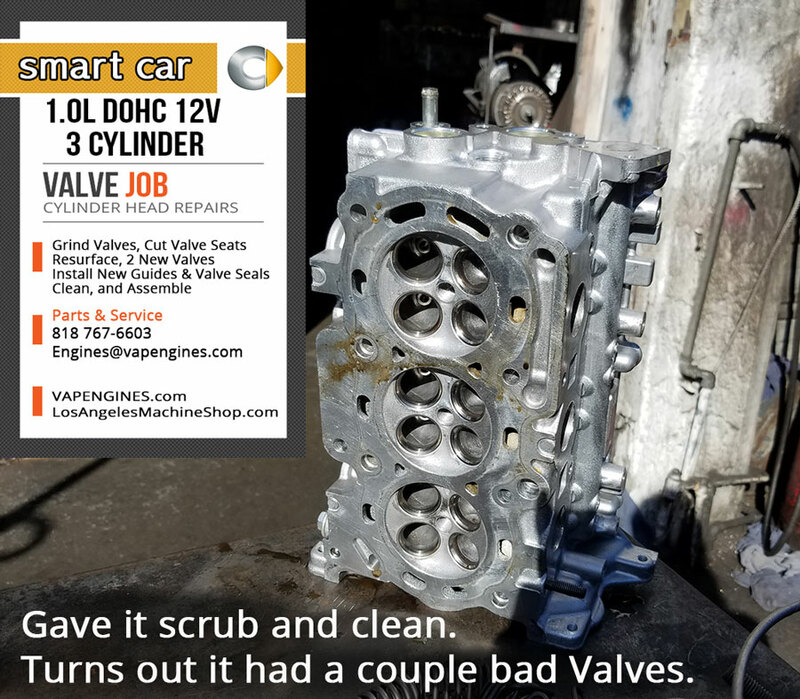 After we inspect it, we tear it down and scrub it, then off to the Hot Tank to melt off all that grease and grim. 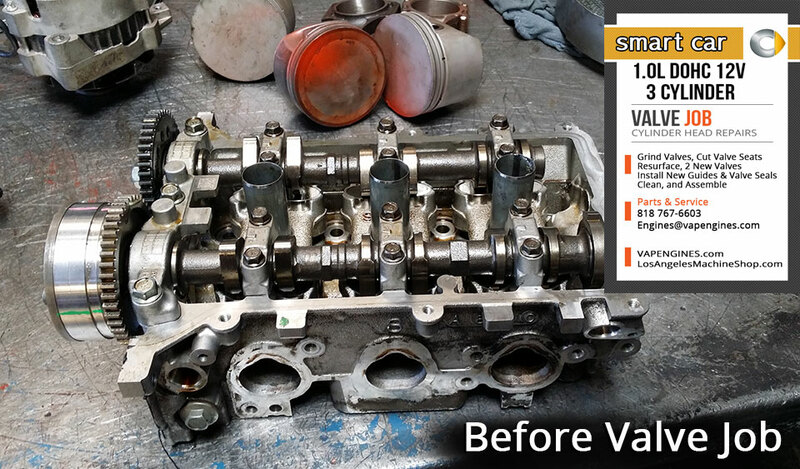 We magnuflux it, to ensure it doesn’t have any cracks and Pressure test it. 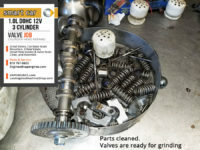 No issues found, so we move forward. 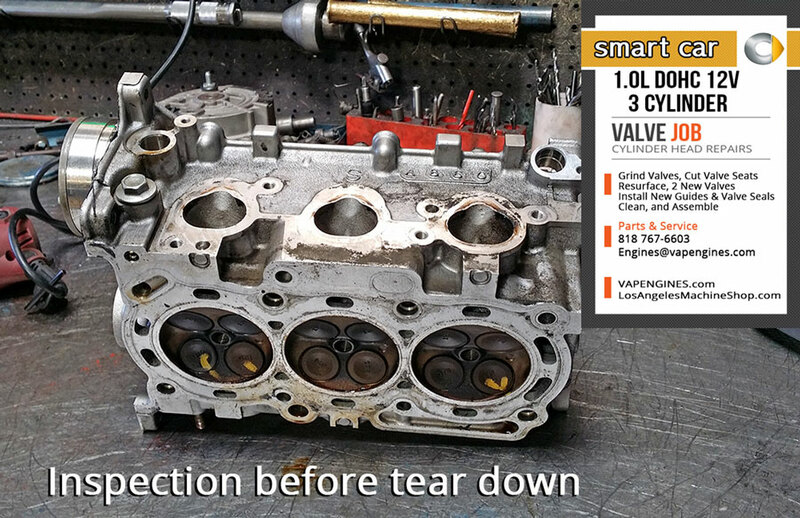 Inspection reveals we need 2 new valves and new valve guides for this Smart Fortwo cylinder head. 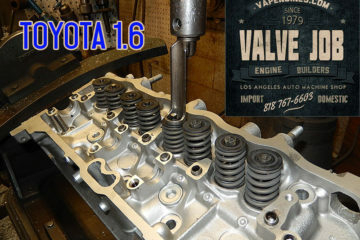 We get the valves, guides and new valve stem seals to complete the Valve Job. 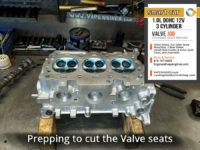 We grind the valves and cut the valve seats. 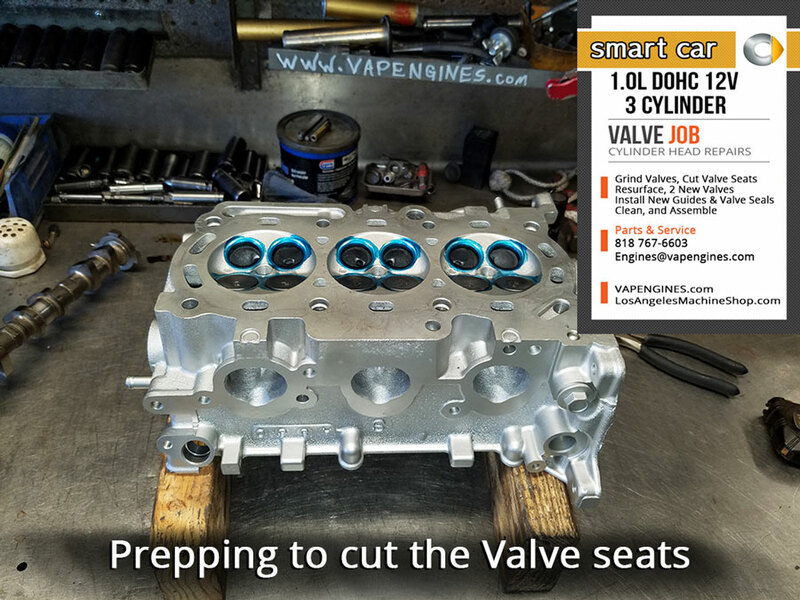 After we Lap the valves to ensure an air-tight fit, we are off to assembly. 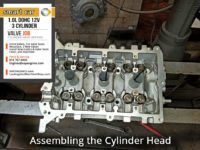 Last step is to Resurface the cylinder head. 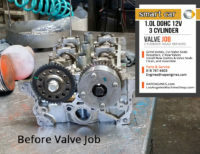 Smart Car Valve Job is complete! 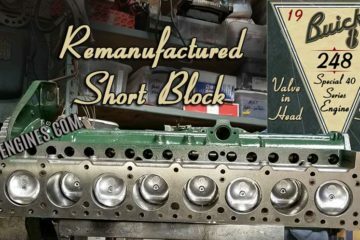 This little Smart Fortwo 1.0 12V Straight-3 cylinder head is ready for pick-up. 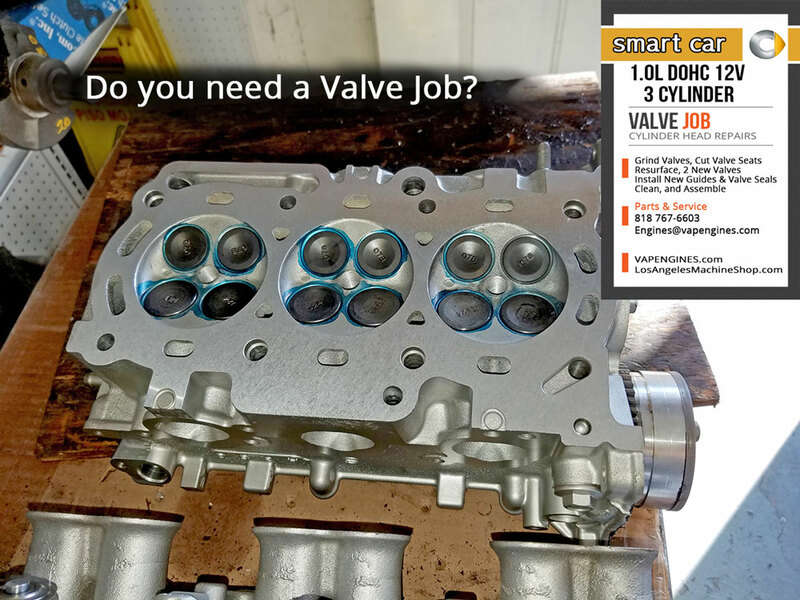 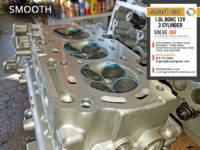 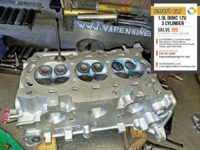 Need a Valve Job for your Smart Fortwo cylinder head? 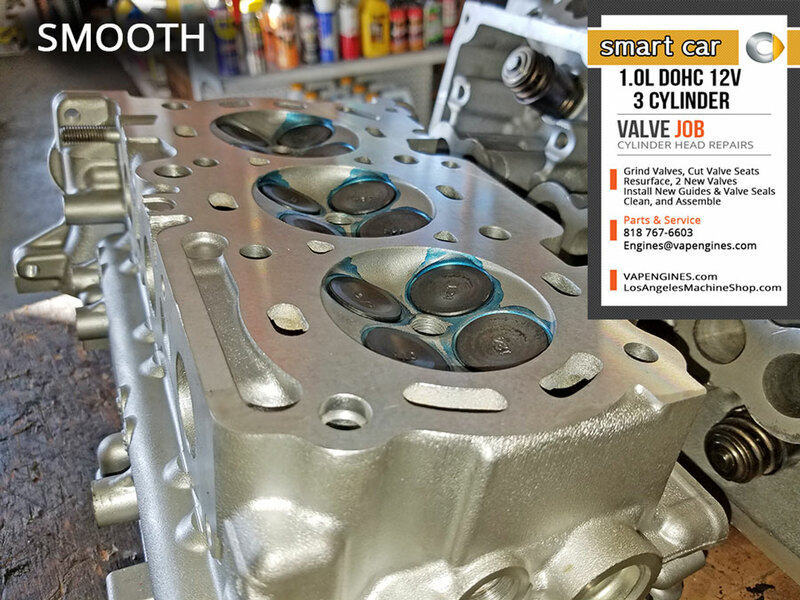 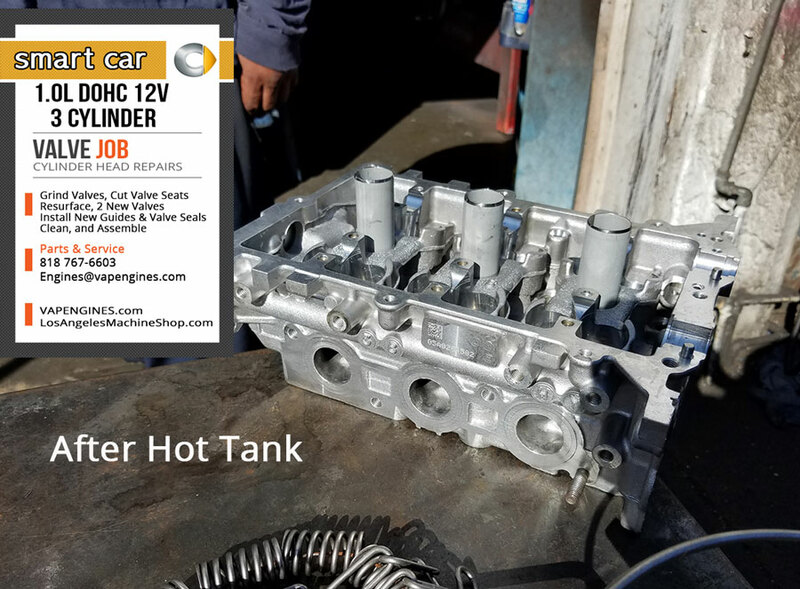 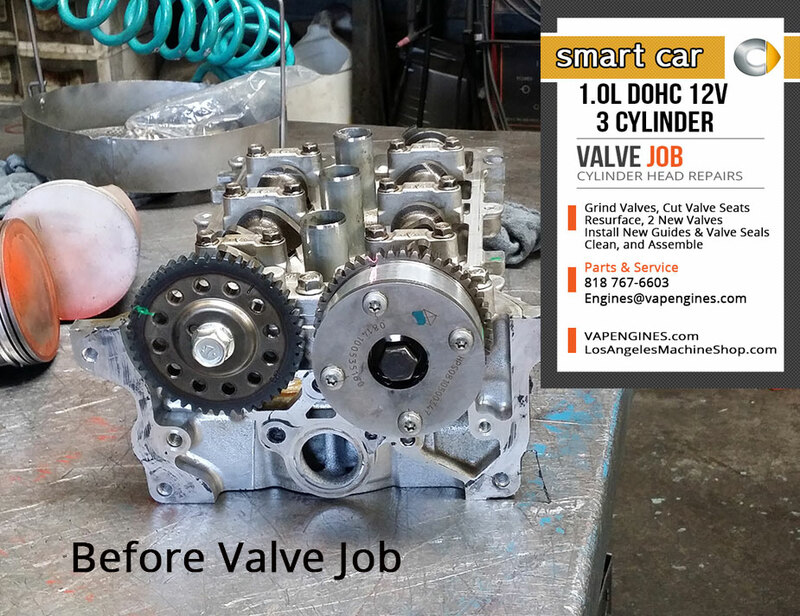 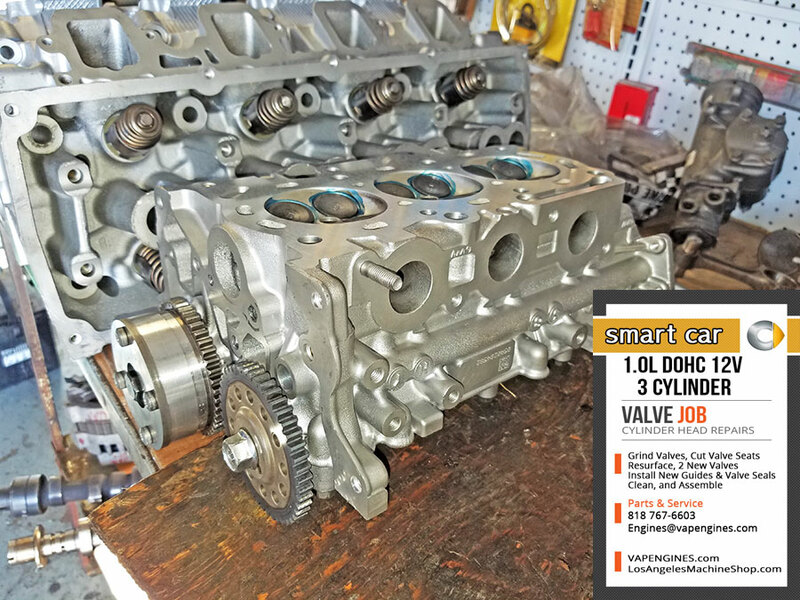 Use the Contact form or call us for your Smart Car cylinder head Parts or Machine Service needs 818 767-6603. 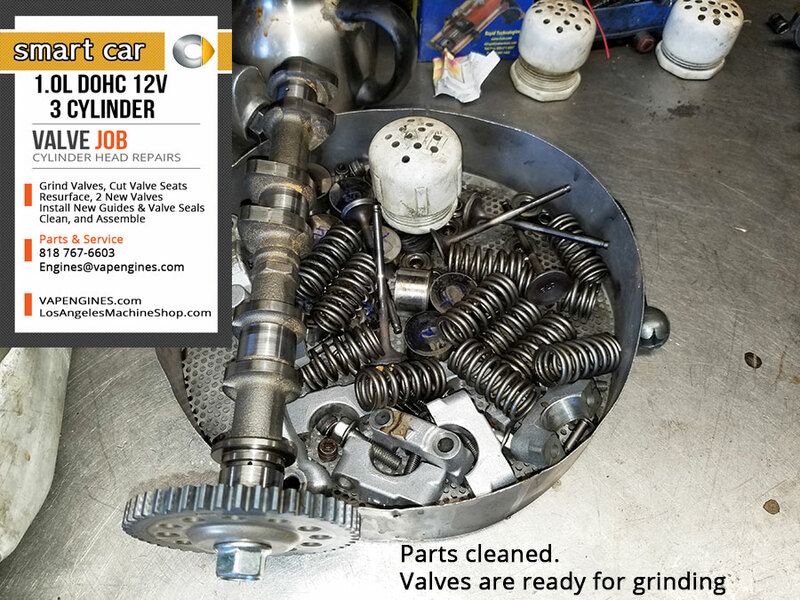 Smart Car Fortwo Valve Job starts at $185.00 plus Tax. 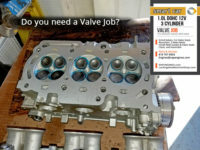 Any missing or broken parts are an extra cost (valves, springs, seats, seals, guides, etc). 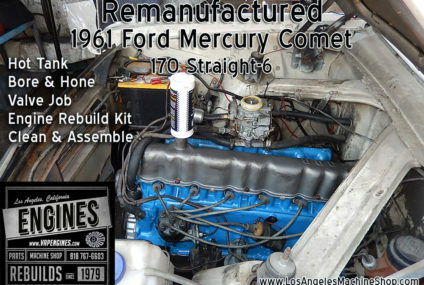 Price does Not include, removal, installation, sales tax or shipping. 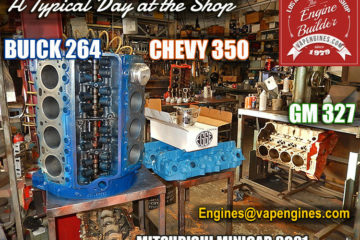 Core charges apply if your core is not rebuildable or broken. 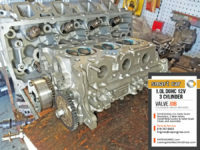 Tear-down fee applies if work is not repaired/completed.